A rally of more than 30,000 people, led by the Danish Prime Minister, has marched in central Copenhagen to commemorate the victims of Saturday’s shootings outside a synagogue and at a cafe hosting a free speech debate. 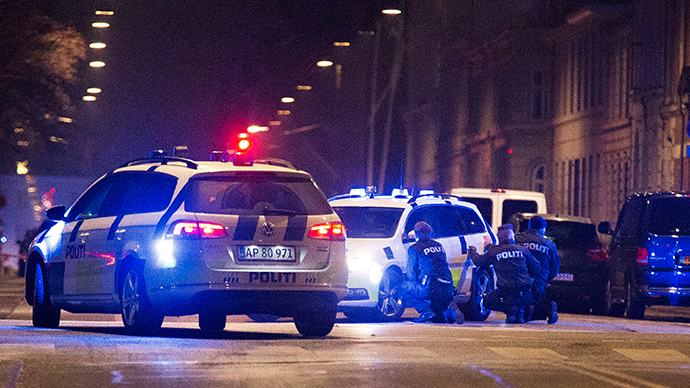 The memorial was held near the site of the first attack as people started flocking to Gunnar Nu Hansens Place at 19:00 GMT. Members of Denmark’s Jewish and Muslim communities joined the event. Many foreign politician including Swedish Prime Minister, Stefan Löfven, also attended the event. 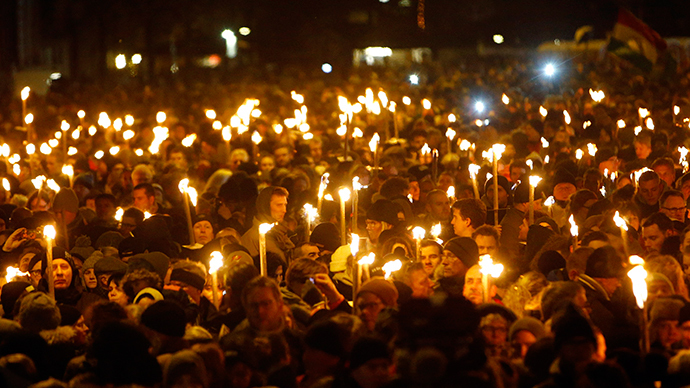 Thousands lit candles and torches as they listened to live music as a mark of remembrance. “There are about 30,000 at the venue, as many as we expected,” a police spokesman told AFP about the gathering. 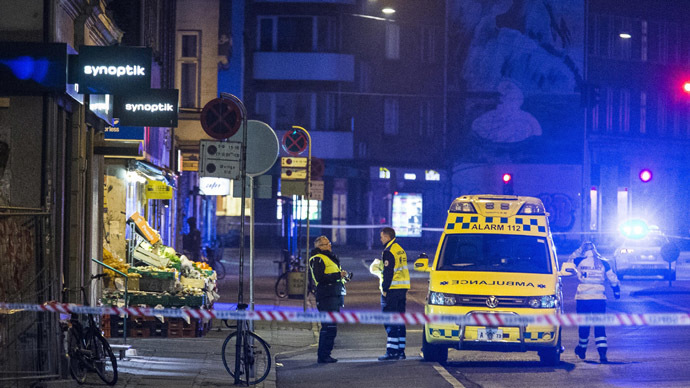 On Saturday, a gunman identified as Omar Abdel El-Hussein, opened fire during a debate on free speech in a Copenhagen cafe that was attended by controversial artist Lars Vilks and the French ambassador to Denmark, François Zimeray. Both were unharmed, but the gunman fatally shot a 55-year-old man attending the event, and injured three police officers. On the same day, a Jewish man was shot in the head while standing outside the city’s largest synagogue. The 22-year-old gunman was fatallyshotby police on Sunday. Authorities say Hussein had a criminal record and a gang background, and had been released from jail two weeks ahead of the murder spree. 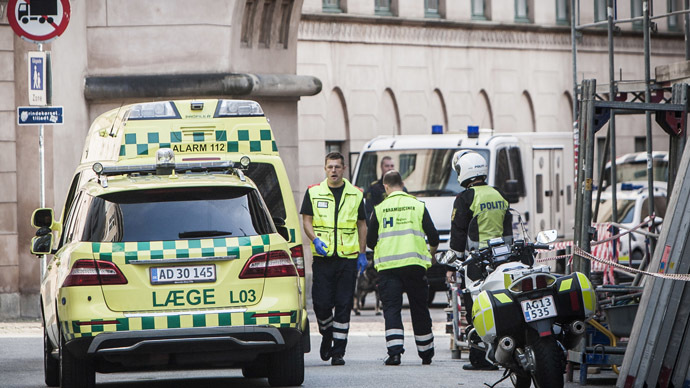 Meanwhile Lars Vilks, the controversial Swedish cartoonist believed to have been the target in the free speech debate shooting has gone into hiding indefinitely, a police spokeswoman said on Monday. Vilks’ home in Höganäs, in southern Sweden, “is not a safe place. 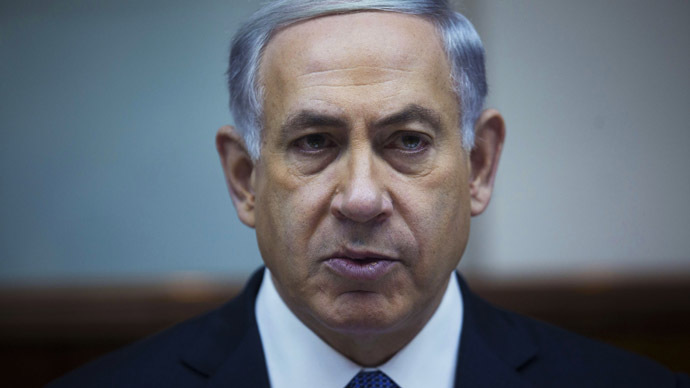 And he needs to be in a safe place,” Ewa-Gun Westford told AFP.